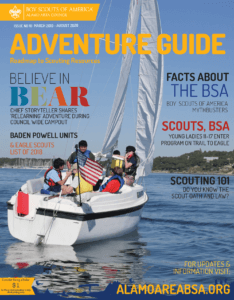 To protect the name and values of the Boy Scouts of America, Alamo Area Council (BSA) as well as the many reputable companies already licensed with us, only companies that can exhibit a commitment to the BSA brand, have established production and distribution capabilities, and/or offer a new or unique product will be granted the opportunity to obtain a BSA license. To help you better understand our licensing process, we’ve outlined the different opportunities available and what we require so that you may determine the best business model for your company. BSA is currently investigating international licensing opportunities. A royalty waiver may be eligible when products are donated to a local council. Please complete the appropriate form and submit to BSA for review when making such a request. Go here to download the form. To qualify as a Single Council Supplier, the manufacturer must be located within the service area of the council and products may not be sold for resale purposes. Any supplier desiring to sell to more than one council or to units of more than one council is required to have a license agreement and is subject to the requirements set forth in that agreement set by the Boy Scouts of America. Request a BSA/Single Council/Supplier Product Sourcing Agreement.